There are countless people out there offering fiction editing services, including many qualified professionals—and, unfortunately, many with no more experience than an English degree, out to make a quick buck. So how can you go about finding a qualified, capable editor that's right for your manuscript? Most professional editors are happy to do a sample edit of a few pages for you. 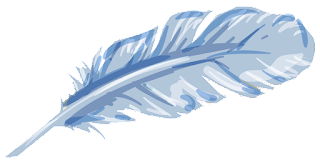 (Touchstone Editing, for example, offers free sample edits of up to 5 pages.) Some editors will go as low as 3 pages, and newer editors may go as high as 10 or 15 to help offset their lack of professional testimonials. But getting sample edits means more than sending off your pages and seeing how many red marks an editor adds. You need to know what your priorities are in terms of editing style, and you need to know enough to recognize whether the editor's suggestions and changes are correct. * Getting a few different sample edits will help you evaluate each editor's strengths and potential weaknesses. 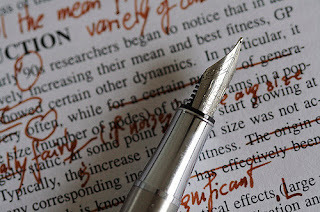 * Many changes come down to style, especially in fiction, but grammar does follow strict rules that should only be broken intentionally, and there are certain basic conventions (like limiting filter words in subjective narration) that your editor should be able to catch. If you heard about an editor from a friend or colleague, you should absolutely pick their brain about their experience. But maybe you're starting from scratch with an online search, or maybe you came across a specific editor through a writing forum or a social networking site like Twitter. Experienced editors should be able to list past clients or offer testimonials to help you get a sense of their expertise and style. Try reaching out to authors who've worked with the editors you're considering. Some may not have the time to respond to your questions, but the writing community is generally very good about supporting one another. Getting that firsthand account should help you determine whether an editor's style is right for you. Take a look at past projects that have been published, and of course consider the editor's industry experience. Ask the editor about experience with your genre and age category. An editor who focuses on Middle Grade may not be the right one for your Adult project, and vice versa. You can also take into account education, though that isn't always a good indicator. Someone with a biology degree may be an amazing editor, and someone with a literature PhD may be a terrible one. Having the information won't hurt, but make sure you also look at the bigger picture—and of course get that sample edit! An editor should be able to provide a reliable estimate for the service you want, as well as a contingency plan if something throws off that estimate. 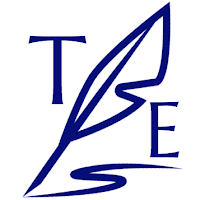 (Touchstone Editing's approach to estimates is covered on the FAQ page.) Remember to look not only at the overall price tag but also at which services are covered, how many rounds of editing are included, and of course the quality. Make sure to evaluate the estimate carefully, balancing your budget with the value you'll receive. At the same time, don't mistake a higher cost for greater value. Editing is a business, yes, but a reputable editor will work with you to help you choose the service that will provide the most bang for your buck. For example, a developmental edit pretty much always costs more than an editorial letter, simply because it takes more time. But if you're just starting to revise your WIP (work in progress) or know you need big-picture help, an editorial letter can often be the best choice for helping you tackle the main issues in your story—especially on a budget. An ethical editor will focus on what your story needs, not on the potential money they can squeeze out of you. Not only should you feel absolutely comfortable talking to someone who will have such an important role in shaping your manuscript, but you'll also be able to evaluate the editor's responsiveness and communication style. Of course, don't expect editors to respond the moment you send your email, but maybe stay away from the editor who takes weeks to answer a basic question. So there you go, an editor's tips on finding the person who will help transform your draft into a compelling and engaging read. Have tips of your own to add? Share in the comments! Valentine's Day Romance Author Special! 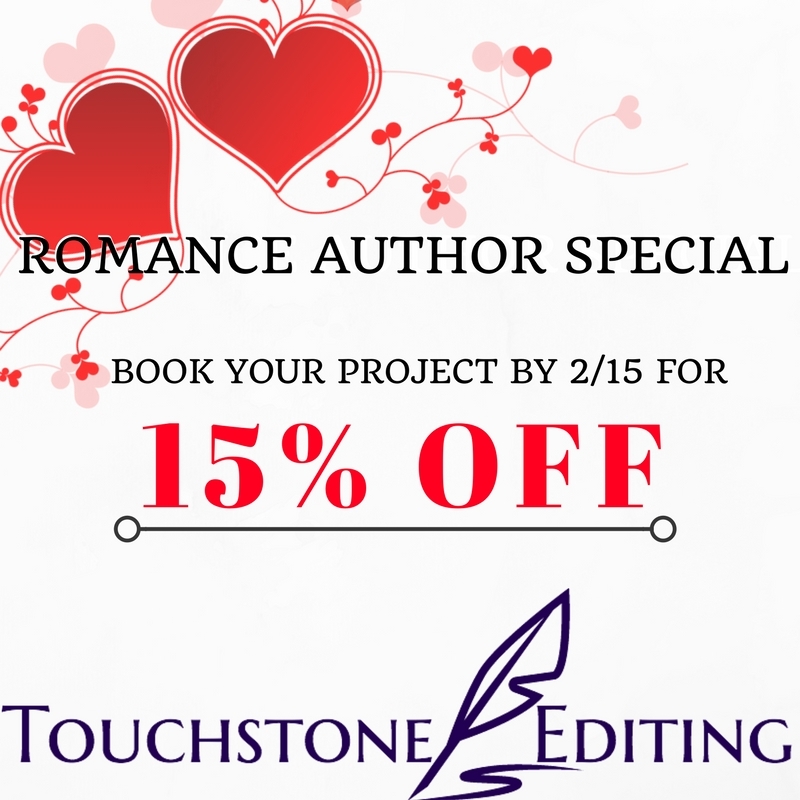 Book a romance project by 2/15 and get 15% OFF! Manuscript must be a romance. Any length or sub-genre counts! Project must be booked by February 15 and must be scheduled to start by December 31, 2017. Note that your project doesn't have to be ready by 2/15, but you do need to book a spot by then.